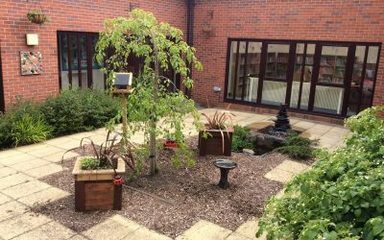 To mark the 30th anniversary of St. Joseph’s Catholic Primary School moving to this site, we are renovating the school courtyard into ‘Our Prayer Garden’. 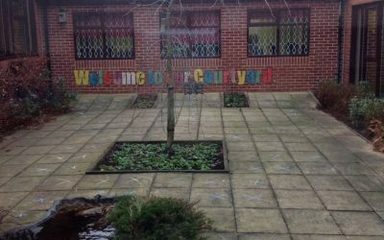 The charity Groundwork are helping us transform this space. 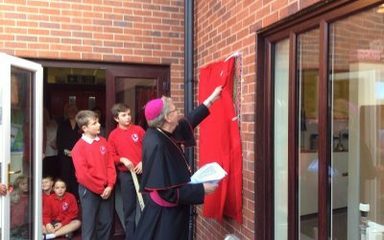 We were delighted to welcome Bishop Seamus to unveil our new mosaic and dedicate our 30th Anniversary Prayer Garden. Many ex-members of staff joined in the celebration. The readers were fantastic! 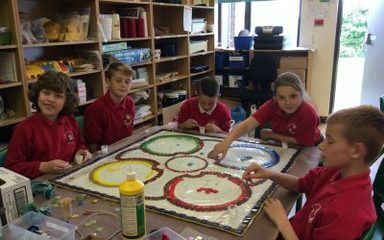 The Prayer Garden Mosaic is progressing well. 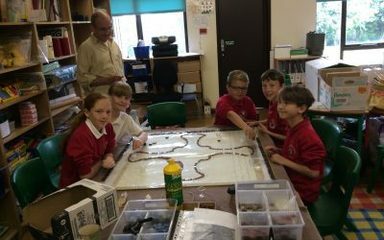 The last group of Year 5 are working on it now and some of Year 6 are going to continue this afternoon. Look at the difference already! I'm really pleased with how the Prayer Garden is starting to take shape. 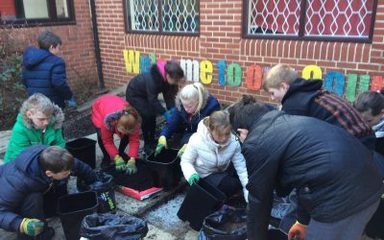 The Eco-warriors are busy planting our hanging baskets for the Prayer Garden. 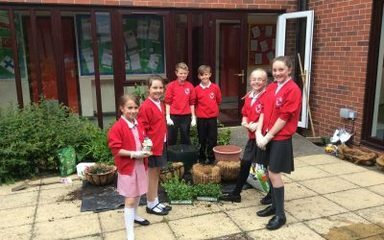 Yesterday some of the year 6 children helped Jack with the next stage of our prayer garden. 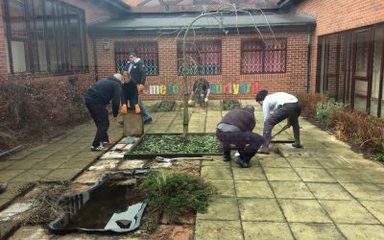 They placed planters and bark chippings and also helped decide measurements and positions for our new benches. 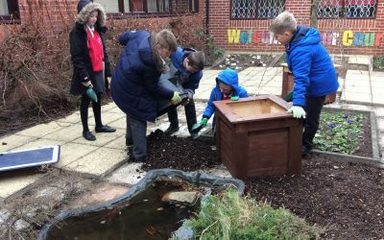 Year 6 today began working on our Prayer Garden. Aided by from Groundwork they began mixing 50% peat with 25% sand and 25 compost!